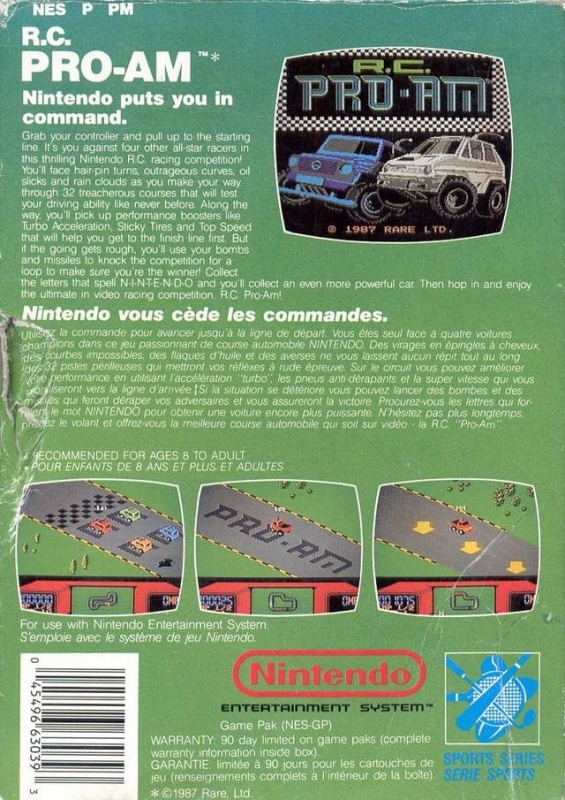 Grab your controller and pull up to the starting line. 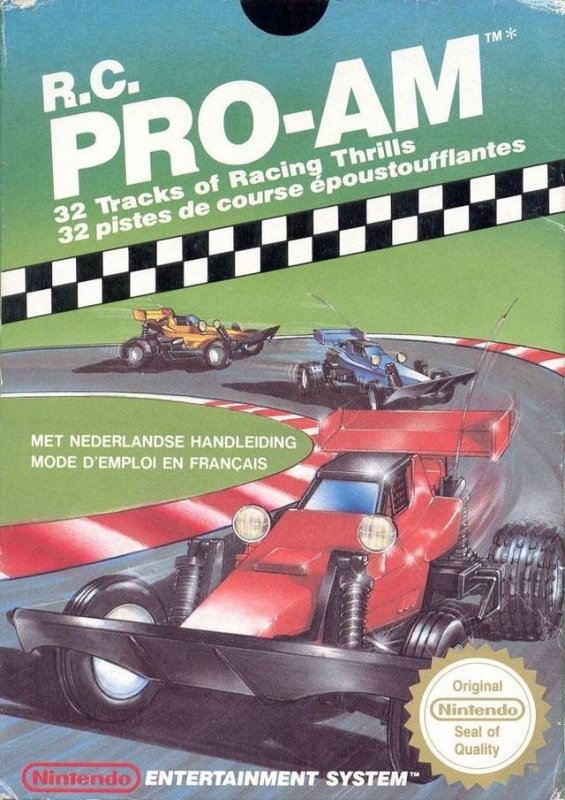 It's you against four other all-star racers in this thrilling Nintendo R.C. racing competition! You'll face hair-pin turns, outrageous curves, oil slicks and rain clouds as you make your way through 32 treacherous courses that will test your driving ability like never before. Along the way, you'll pick up performance boosters like Turbo Acceleration, Sticky Tires and Top Speed that will help you get to the finish line first. But if the going gets rough, you'll use your bombs and missiles to knock the competition for a loop to make sure you're the winner! Collect the letters that spell N-I-N-T-E-N-D-O and you'll collect an even more powerful car. Then hop in and enjoy the ultimate in video racing competition. R.C. Pro Am! This game was very popular when I was young. 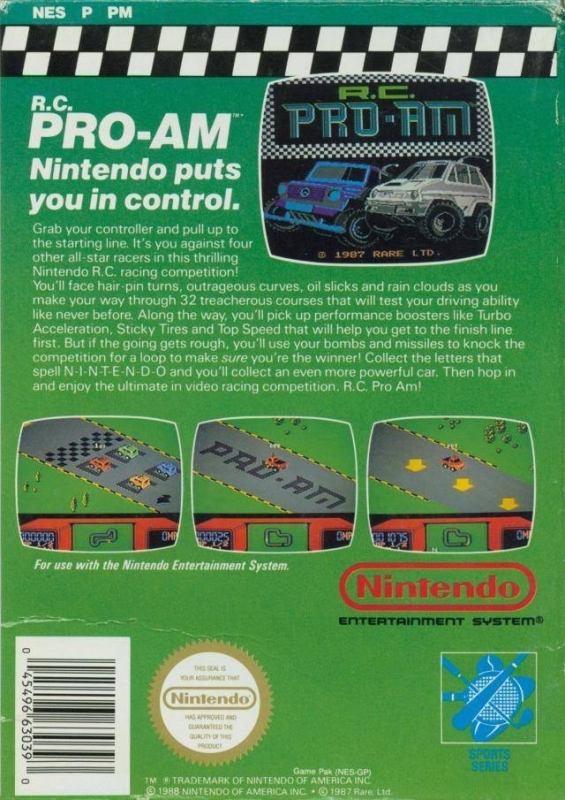 "RC Pro Arm" is not the correct spelling.